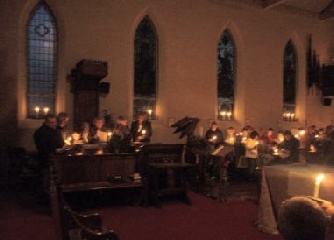 We traditionally hold two carol services by candlelight on Christmas Eve at 4.30 pm and 6.00 pm. These are exceptionally well attended with as many as seven or eight hundred people present. 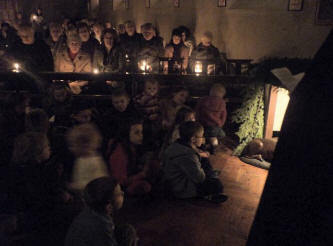 Children are especially welcome and their attention is focused on the "manger scene" which is set up in the position normally held by the lady altar. 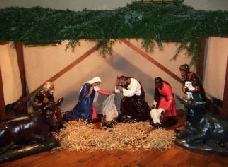 The shepherds visit the infant Jesus while the ox and the donkey flank the scene. 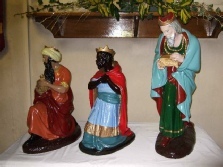 The Wise Men wait in the wings as their time has yet to come. Epipha ny is 6th January. 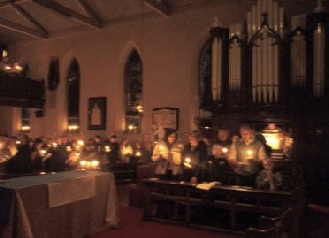 The Church looks so very different when it is lit by candles, the atmosphere seems magical. 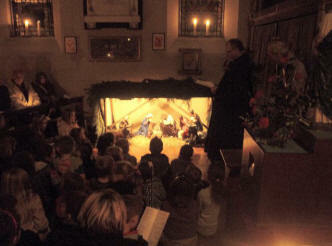 Children gather around the manger to hear the story of the first Christmas.